The in-vehicle networks currently used in automobiles are based on a combination of several different data networking protocols, some of which have been in place for decades. There is the controller area network (CAN), which takes care of the powertrain and related functions; the local interconnect network (LIN), which is predominantly used for passenger/driver comfort purposes that are not time sensitive (such as climate control, ambient lighting, seat adjustment, etc. ); the media oriented system transport (MOST), developed for infotainment; and FlexRay™ for anti-lock braking (ABS), electronic power steering (EPS) and vehicle stability functions. 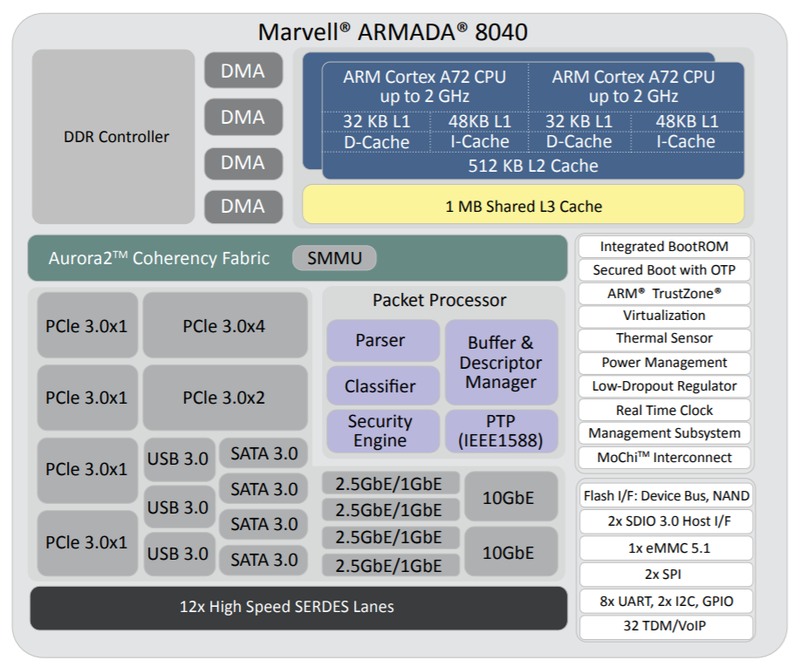 Through use of its high performance ARMADA® embedded processors, Marvell is able to demonstrate a highly effective solution that will facilitate edge computing implementation on the Marvell MACCHIATObin™ community board using the ARMADA 8040 system on chip (SoC). At CES® 2018, Marvell and Pixeom teams will be demonstrating a fully effective, but not costly, edge computing system using the Marvell MACCHIATObin community board in conjunction with the Pixeom Edge Platform to extend functionality of Google Cloud Platform™ services at the edge of the network. The Marvell MACCHIATObin community board will run Pixeom Edge Platform software that is able to extend the cloud capabilities by orchestrating and running Docker container-based micro-services on the Marvell MACCHIATObin community board. Currently, the transmission of data-heavy, high resolution video content to the cloud for analysis purposes places a lot of strain on network infrastructure, proving to be both resource-intensive and also expensive. Using Marvell’s MACCHIATObin hardware as a basis, Pixeom will demonstrate its container-based edge computing solution which provides video analytics capabilities at the network edge. This unique combination of hardware and software provides a highly optimized and straightforward way to enable more processing and storage resources to be situated at the edge of the network. The technology can significantly increase operational efficiency levels and reduce latency. The Marvell and Pixeom demonstration deploys Google TensorFlow™ micro-services at the network edge to enable a variety of different key functions, including object detection, facial recognition, text reading (for name badges, license plates, etc.) and intelligent notifications (for security/safety alerts). This technology encompasses the full scope of potential applications, covering everything from video surveillance and autonomous vehicles, right through to smart retail and artificial intelligence. Pixeom offers a complete edge computing solution, enabling cloud service providers to package, deploy, and orchestrate containerized applications at scale, running on premise “Edge IoT Cores.” To accelerate development, Cores come with built-in machine learning, FaaS, data processing, messaging, API management, analytics, offloading capabilities to Google Cloud, and more. The MACCHIATObin community board is using Marvell’s ARMADA 8040 processor and has a 64-bit ARMv8 quad-core processor core (running at up to 2.0GHZ), and supports up to 16GB of DDR4 memory and a wide array of different I/Os. Through use of Linux® on the Marvell MACCHIATObin board, the multifaceted Pixeom Edge IoT platform can facilitate implementation of edge computing servers (or cloudlets) at the periphery of the cloud network. 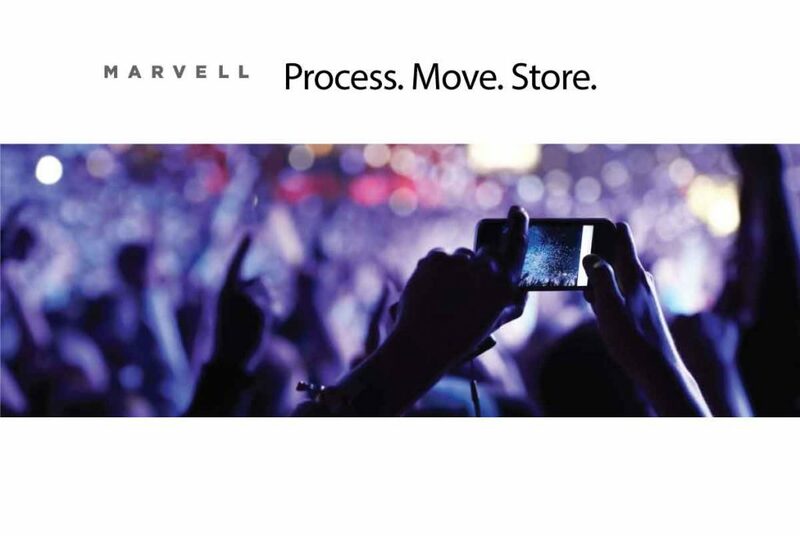 Marvell will be able to show the power of this popular hardware platform to run advanced machine learning, data processing, and IoT functions as part of Pixeom’s demo. The role-based access features of the Pixeom Edge IoT platform also mean that developers situated in different locations can collaborate with one another in order to create compelling edge computing implementations. Pixeom supplies all the edge computing support needed to allow Marvell embedded processors users to establish their own edge-based applications, thus offloading operations from the center of the network. 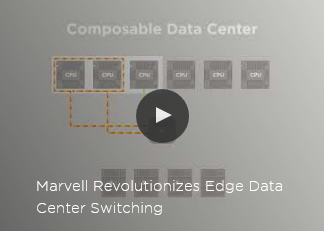 Marvell will also be demonstrating the compatibility of its technology with the Google Cloud platform, which enables the management and analysis of deployed edge computing resources at scale. Here, once again the MACCHIATObin board provides the hardware foundation needed by engineers, supplying them with all the processing, memory and connectivity required. Those visiting Marvell’s suite at CES (Venetian, Level 3 – Murano 3304, 9th-12th January 2018, Las Vegas) will be able to see a series of different demonstrations of the MACCHIATObin community board running cloud workloads at the network edge. Make sure you come by! The growth of electronics content inside the automobile has already had a dramatic effect on the way in which vehicle models are designed and built. As a direct consequence of this, the biggest technical change is now beginning to happen – one that overturns the traditional relationship between the car manufacturer and the car owner. 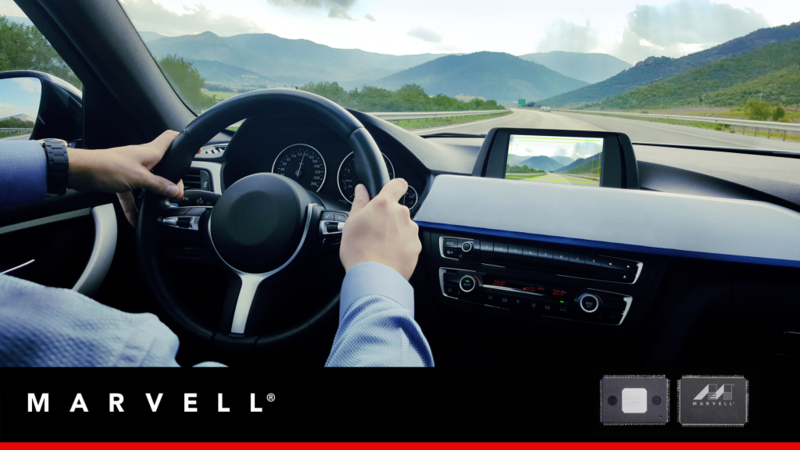 With many subsystems now controlled by microprocessors running software, it is now possible to alter the behavior of the vehicle with an update and introduce completely new features and functionality by merely updating software. The high profile Tesla brand of high performance electric vehicles has been one of the companies pioneering this approach by releasing software and firmware updates that give existing models the ability to drive themselves. Instead of buying a car with a specific, fixed set of features, vehicles are being upgraded via firmware over the air (FOTA) without the need to visit a dealership. Faced with so many electronic subsystems now in the vehicle, high data rates are essential. Without the ability to download and program devices quickly, the car could potentially become unusable for hours at a time. On the wireless side, this is requiring 802.11ac Wi-Fi speeds and very soon this will be ramped up to 802.11ax speeds that can potentially exceed Gigabit/second data rates. Automotive Ethernet that can support Gigabit speeds is also now being fitted so that updates can be delivered as fast as possible to the many electronic control units (ECUs) around the car. The same Ethernet backbone is proving just as essential for day-to-day use. The network provides high resolution, real-time data from cameras, LiDAR, radar, tire pressure monitors and various other sensors fitted around the body, each of which is likely to have their own dedicated microprocessor. The result is a high performance computer based on distributed intelligence. And this, in turn, can tap into the distributed intelligence now being deployed in the cloud. The V2X connectivity can stop traffic lights from being an apparent obstacle and turn them into devices that provide the vehicle with hints to save fuel. If the lights send out signals on their stop-go cycle approaching vehicles can use them to determine whether it is better to decelerate and arrive just in time for them to turn green instead of braking all the way to a stop. Sensors at the junction can also warn of hazards that the car then flags up to the driver. When the vehicle is able to run autonomously, it can take care of such actions itself. Similarly, cars can report to each other when they are planning to change lanes in order to leave the freeway, or when they see a slow-moving vehicle ahead and need to decelerate. The result is considerably smoother braking patterns that avoid the logjam effect we so often see on today’s crowded roads. The enablement of such applications will require multiple radios in the vehicle, which will need to work cooperatively in a fail-safe manner. 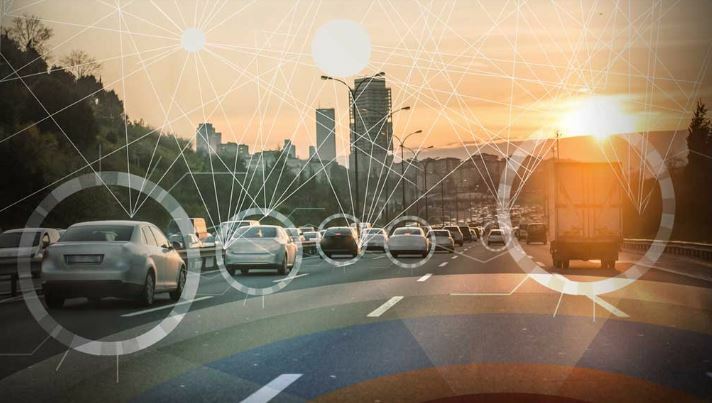 Such connectivity will also give OEMs unprecedented access to real-time diagnostic data, which a car could be uploading opportunistically to the cloud for analysis purposes. This will provide information that could lead to customized maintenance services that could be planned in advance, thereby cutting down diagnostic time at the workshop and meaning that technical problems are preemptively dealt with, rather than waiting for them to become more serious over time. There is no need for automobile manufacturers to build any of these features into their vehicle models today. As many computations can be offloaded to servers in the cloud, the key to unlocking advanced functionality is not wholly dependent on what is present in the car itself. The fundamental requirement is access to an effective means of communications, and that is available right now through high speed Ethernet within the vehicle plus Wi-Fi and V2X-compatible wireless for transfers going beyond the chassis. Both can be supplied so that they are compliant with the AEC-Q100 automotive standard – thus ensuring quality and reliability. With those tools in place, we don’t need to see all the way ahead to the future. We just know we have the capability to get there.